use it to teach simple past irregular verbs in context and in a fun way!! The above downloadable teaching material is recommended for high school students and elementary school students at Elementary (A1) and Pre-intermediate (A2) level. 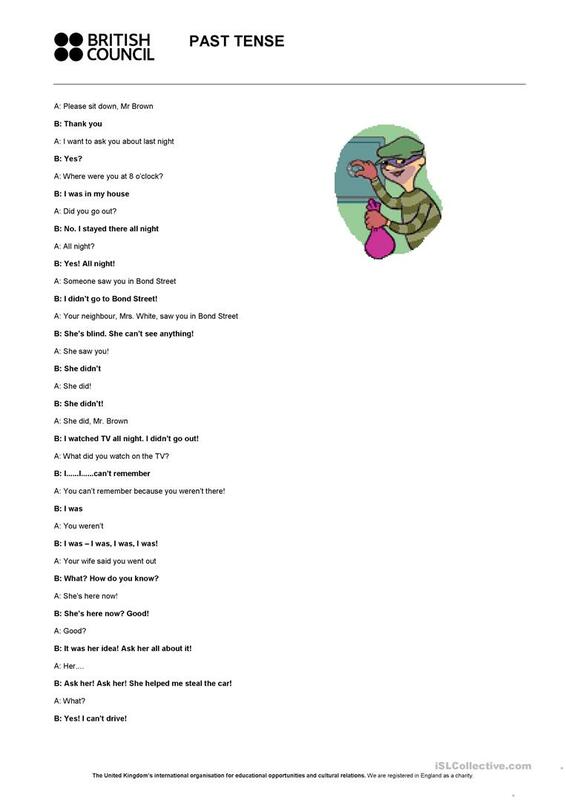 It is a useful material for consolidating Past simple tense in English, and is a valuable material for improving your students' Speaking and Reading skills. It focuses on the vocabulary topic of Actions. You will find the key at the end of the worksheet. success36 is from/lives in Morocco and has been a member of iSLCollective since 2012-11-05 12:22:38. success36 last logged in on 2013-05-08 00:55:24, and has shared 1 resources on iSLCollective so far.